VRDL is an internationally renowned league offering the best roller derby in the world, therefore requires an array of officiating staff who make sure the game is played safely, fairly and to a high standard. We provide an opportunity for all officials, novice to advanced, and welcome those who are interested in officiating the sport in any way they can. The officials currently residing at the VRDL are dedicated to excellence and officiate top level international derby. If you’re interested in becoming an official at VRDL, these renowned officials will teach you the fundamentals of the sport as well as impart expert knowledge and officiating tricks learnt through many WFTDA Championships and countless tournaments and clinics. 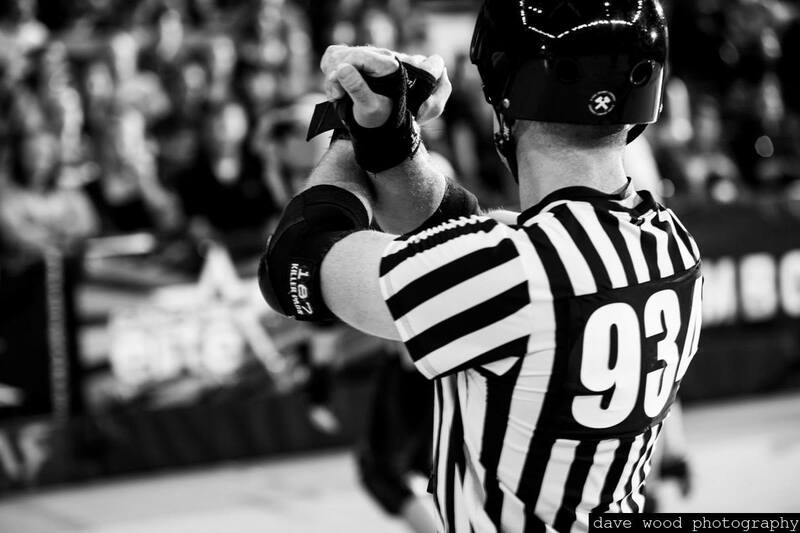 Roller derby offers two officiating positions: Referee or Non-Skating Official (NSO). A roller derby referee officiates the game on skates from either inside the middle of the track or by skating around the outside. A regular game of roller derby has seven on-skates referees (sometimes you might see more or less), so you’ll never been alone to make the tough decisions. Referees do need to be quick decisions makers, have a keen eye for detail and intermediate skating skills but don’t worry, the VRDL officiating crew will teach you everything you need to know. With consistent exposure and practice, you’ll be ready in no time. Referees can skate on either quad skaters or rollerblades and require a helmet, full protective gear and, of course, a whistle! A roller derby NSO, as the name suggests, officiates the game off skates by documenting penalties, managing the game clock and keeping track of general game administration. Becoming a roller derby NSO only requires practice and a love for learning about roller derby; there is no need for skating skills or extensive game knowledge. If you’re worried about injury or colliding with a skater, NSO positions are perfect for you. NSO’s are mostly away from the action, so there is little risk physical involved. But, you’ll still be close enough to enjoy the action. All you need to become a roller derby official is a willingness to learn and a desire to facility great roller derby. VRDL does not offer an official Officiating training program which means you can start learning or officiating straight away! Email officials@vrdl.org to sign up now or find out more information.